The family of the late William "Wurth" Kriegel has named in his honor the room in Engineering Building I that's occupied by the head of the Department of Materials Science and Engineering (MSE). 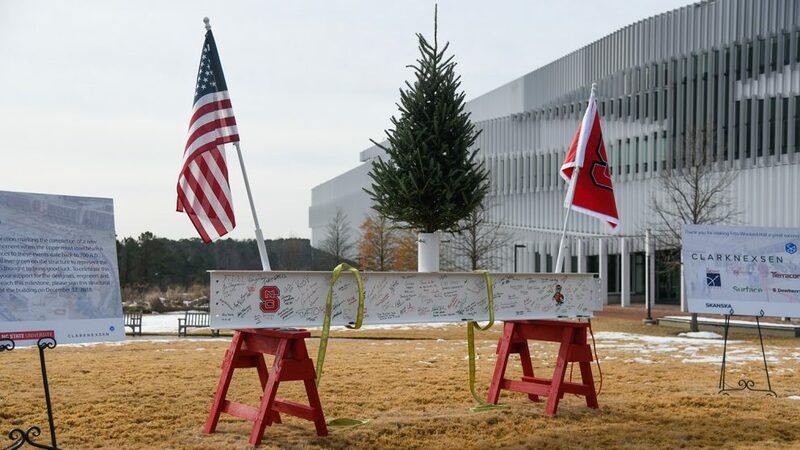 Kriegel spent 32 years at NC State as an instructor, professor and then department head in the Department of Ceramic Engineering, which grew into today’s MSE, but his office door was always open to students. Students, faculty and staff at the Wilson College of Textiles share what the Wilson family's generous gift means to them. The Wilson family boasts three generations of Textiles alumni. Their High Point-based company, Piedmont Chemical Industries, was founded in 1938 by the late Frederick Eugene Wilson Sr., to support the local textile industry, and it has continued to grow and evolve. With their transformative gift, the Wilson family establishes the Wilson College of Textiles and a lays a strong foundation for the industry’s future in North Carolina and beyond. Fitts-Woolard Hall is beginning to take shape quickly on NC State's Centennial Campus, thanks to the generosity of more than 300 donors and a transformational naming gift from industrial engineering alumni Edward P. Fitts and Edgar R. Woolard. 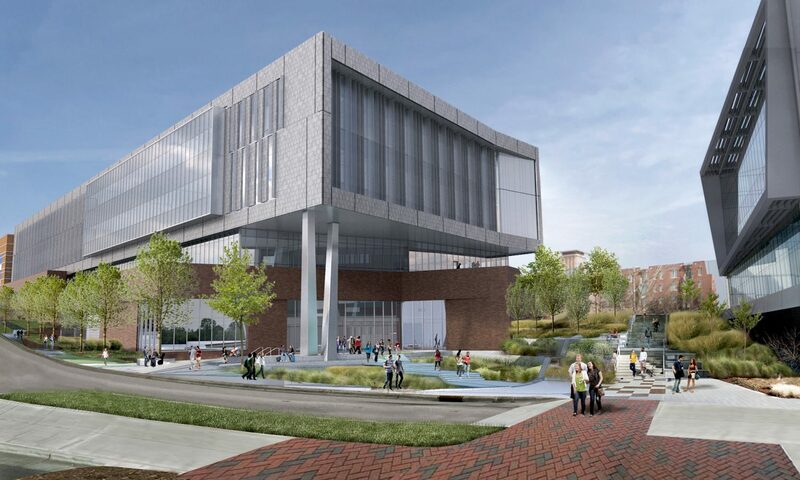 The College of Engineering has raised more than $47 million (of a $60 million goal) for the public-private project. Alumni and friends still have a chance to make a gift that will have a lasting impact on thousands of future students and faculty. 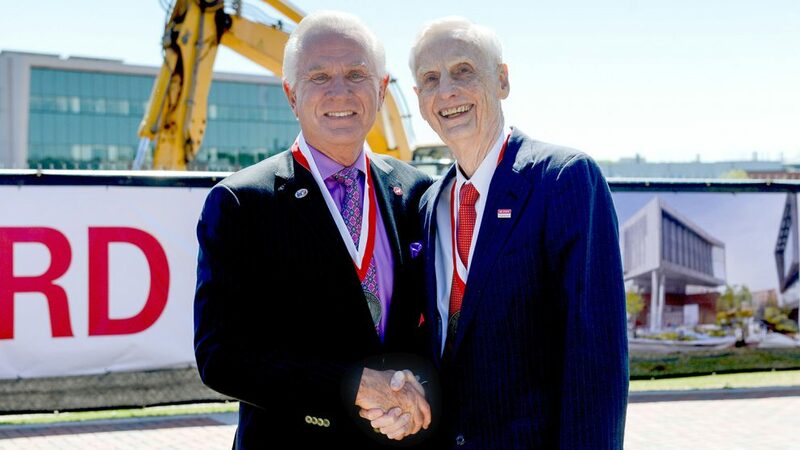 Edward P. Fitts Jr. and Edgar S. Woolard Jr. began a friendship based on their mutual love for NC State, their appreciation for the paths that their engineering degrees started them down and a common goal: to make the university, college and department where they studied extraordinary. 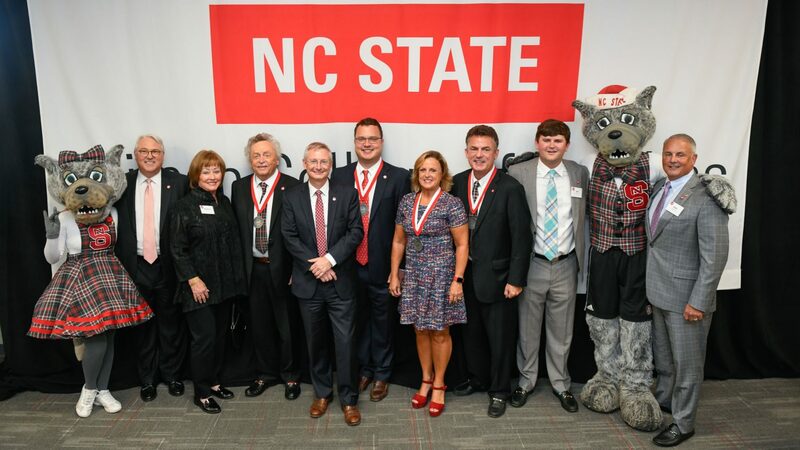 Most recently, the two Eds' $25 million gift to help fund construction of Fitts-Woolard Hall is the largest gift to a campus building naming in NC State’s history. 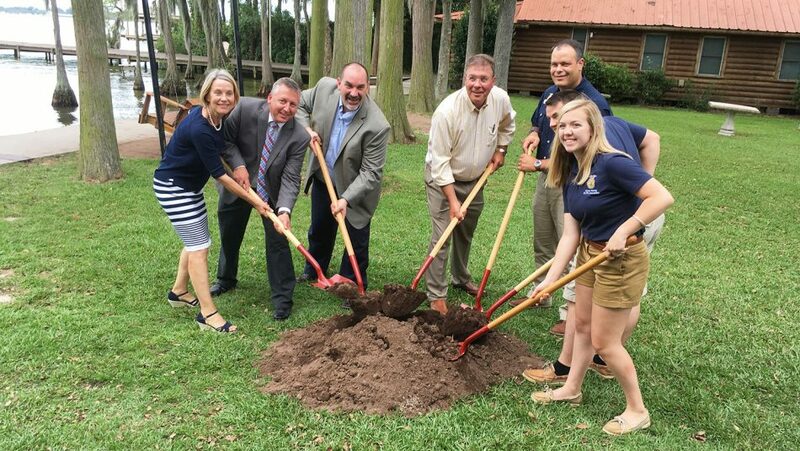 State FFA leaders, youth, educators and corporate supporters gathered recently to celebrate the groundbreaking for a new female dormitory at the NC FFA Center in Bladen County. The facility, which will bear the name of the SECU Foundation in recognition of its $400,000 gift, is the realization of a dream and represents the commitment of many partners and donors to vital improvements at the center.